Shinuka Singh, Year 8 student of Vashist Muni Memorial Primary School is breaking barriers after she started playing rug­by for her school. The 13-year old said that she had never thought that she would be playing rugby. “I never thought that I would be playing rugby on this scale,” Singh said. She believes that girls can do anything including playing rugby. “Everyone at home is proud of me,” she said. She also said the sport was a medium for everyone to get together and socialize. “It helps us strengthen our relationship,” she said. For now, her aim is to con­tinue playing rugby. 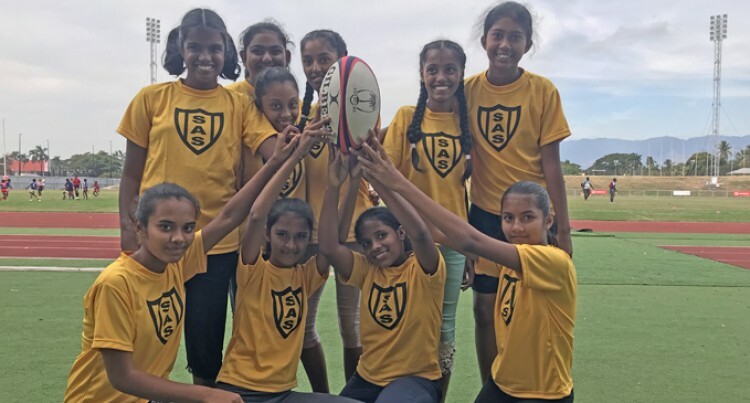 Her Westcoast team drew with Nadi Two in the Indo-Girls U14 grade during the Vodafone West Kids Rugby Festival held at Churchill Park in Lautoka. Coach James Bineshwar Lal said it was a good opportunity for the girls to get exposure.